Confidence in mathematics and handling numbers is key to success in so many other subject areas. Our highly skilled mathematics team are acutely aware of this, using a wide range of strategies to ensure that all possible approaches to grasping basic principles are offered to our students. Extensive online support is used to ensure that students can practice and refine their skills away from school, so that the focus in lessons is very much around individually tailored skills development. Students study 4 of the 5 weekdays in the lower years and every day at GCSE. Many students enter the United Kingdom Mathematics Trust Mathematics Challenge and there are many opportunities for talented mathematicians to develop and demonstrate their skills. Many students study Maths at Advanced Level with the more able studying Further Maths. For those who still need to develop their Maths skills in the Sixth Form but study other Advanced Level subjects, the Faculty also offers a nationally recognised Core Maths programme, which carries the university entrance points of an AS Level qualification. Year 7 is the bridge between the work completed at Primary school and the laying of the necessary foundations for the start of the GCSE course. We cover the major areas of Number, Statistics and Probability as well as introduce Algebra. Year 8 continues to develop students’ understanding of the basic underlying concepts of the subject in order to fully prepare them for the rigours of the GCSE course. We concentrate on the major topics of Algebra and Geometry, using the numerical skills developed throughout Year 7. We start the GCSE course at the beginning of Year 9. Groups 3 and 4 follow the Foundation Tier course which grades at 1 to 5. A Grade 5 is a Strong Pass; a Grade 4 is a Standard Pass. We start the GCSE course at the beginning of Year 9. Groups 1 and 2 follow the Higher Tier course which grades at 9 to 4. A Grade 5 is a Strong Pass; a Grade 4 is a Standard Pass. 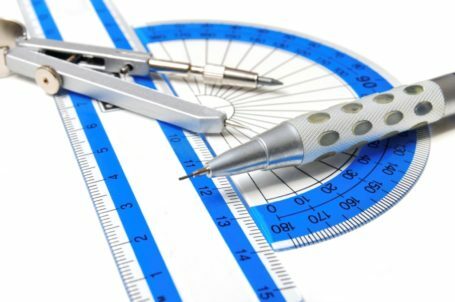 The AQA Level 2 Certificate in Further Maths places an emphasis on higher order technical proficiency, rigorous argument and problem-solving skills. It gives high achieving students an introduction to AS level topics. This course is offered to Group 1 students and is taught alongside the GCSE Higher Tier content. The Matrices and Calculus modules are taught as discrete units whereas the rest of the specification is delivered as extension work during the GCSE. There are two examinations after the GCSE Mathematics examination in the summer of Year 11. This course if offered to those students in Group 4. It is the precursor to GCSE and therefore underpins the knowledge and skills needed to grade at GCSE. Work will be completed during the GCSE course and submitted for qualification in January of Year 11. Students should submit for assessment and moderation evidence from the eight components at least four of which need to be an externally set test. As we start the GCSE course at the beginning of Year 9, Year 10 is a continuation of the GCSE. Groups 3 and 4 follow the Foundation Tier course which grades at 1 to 5. A Grade 5 is a Strong Pass; a Grade 4 is a Standard Pass. Year 11 is a continuation of the GCSE. Groups 3 and 4 follow the Foundation Tier course which grades at 1 to 5. A Grade 5 is a Strong Pass; a Grade 4 is a Standard Pass. As we start the GCSE course at the beginning of Year 9, Year 10 is a continuation of the GCSE. Groups 1 and 2 follow the Higher Tier course which grades at 9 to 4. A Grade 5 is a Strong Pass; a Grade 4 is a Standard Pass. Year 11 is a continuation of the GCSE. Groups 1 and 2 follow the Higher Tier course which grades at 9 to 4. A Grade 5 is a Strong Pass; a Grade 4 is a Standard Pass. Level 3 Mathematical Studies (Core Maths) is a new qualification designed for students who have achieved a grade 4 or above at GCSE. This is taught over the two years and is examined by 2 formal examinations, each 90 minutes in length. Paper 1 examines the first 3 Compulsory units. Paper 2A Statistical Techniques examines Modules 4, 5, 6 and 7. Paper 2B Critical path and Risk examines Modules 4, 8, 9 and 10. Paper 2C Graphical Techniques examines Modules 4, 11, 12 and 13. This is a two year course leading to an AS Level. It is aimed at the top end of the A Level Mathematicians and is taken as an “extra” over and above the normal 3 A Levels. A Level Mathematics must be one of the three other A Levels being studied. One question paper answer booklet on Discrete and One question paper answer booklet on Statistics. One question paper answer booklet on Statistics and one question paper answer booklet on Mechanics. One question paper answer booklet on Mechanics and one question paper answer booklet on Discrete. This is a two year A Level course examined by three 2 hour examinations.